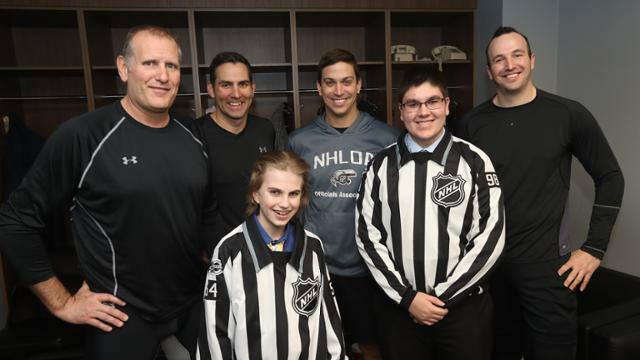 The Youth Hockey Referee Spotlight highlights two amateur hockey referees from Illinois per month and gives them the opportunity to attend a Blackhawks game and meet the NHL refs prior to puck drop. The impact and contribution of youth referees in hockey is as important as the players, and this is a great opportunity to reward them for their contributions. AHAI congratulates Bradley Buh and Tim Ryan!